There was a time when I used to think, it costs too much to get personal training. It costs too much to eat Organic produce. It costs too much to get a massage. It costs too much to take that health seminar. And it costs too much to take that quality whole food concentrated product that is better than a supplement. it costs too much. That was my excuse. About ten years ago, my best friend had started running and was training for a race. She told me, she paid $5.00 for a daily entrance fee to run inside the gym, on their indoor track. I told her that sounded like a waste of money. But she explained that her health was her priority and that meant, no excuses, do what you need to do to make it happen. Her goal was to lose weight and to run in a race. She paid the daily fee to run indoors because it was snowing outside. She went from a size 12 to a size 0 and ran not only 5k races but 10k and half marathons. And me? I gained weight (and I was already overweight) and I was diagnosed with MS at the age of 33. Looking back, I remember complaining about not having enough money, and yet I was spending my money on the things that weren't improving my health. I spent a lot of money on eating out and coffee shops. So in reality, I did have money. I just chose not to invest it in my health. When I was a Clinical Yoga Therapist working in a medical clinic in the treatment of patients about twelve years ago, I saw firsthand the consequences of making excuses and the positive impact of doing whatever it takes to succeed. Patients who came in with excuses of having not enough time, having to drive a ways to the clinic, not having enough money, etc. etc. etc. quit the clinical yoga therapy program in less than a month and when I saw them several months later, their condition had worsened. Whereas the patients who made absolutely zero excuses and did whatever they had to do to succeed, stayed with the program for three months and reached their goal. Their goal was to either reduce their medication dependence or come off all medications (both were done with the approval of their physician after working with me for three months), as well as living pain free and having a higher quality of life. I knew this one woman who had to drive 45 minutes to an hour for her weekly session with me. But she never complained and she did every weekly assignment I gave her. And in three months, she was improved and ready to succeed in her life. Another woman was in her sixties, and suffered from limited mobility, chronic pain and severe muscular and joint stiffness. She didn't work so she had no money. But she didn't let that stop her. She borrowed money from her family and after one year of completing yoga therapy, her chronic pain was gone, she was mobile and she was able to participate in an all levels yoga class with the youngins and hold her own no problem. It was the same journey with me. What my best friend said almost ten years ago did not click in my head until I was sick. I spent almost $1200 one year on medications, tests and exams from getting the flu and bronchitis twice in one year. I missed about 2 months worth of work and was miserable during those months. So the next year, I decided (upon the recommendation of my physician assistant friend) to take a high quality whole food concentrated product called Juice Plus. It cost about $912 a year. So just a little less than what I had spent on being sick the year before. That year, I wasn't sick at all (which was the first time since my childhood of not being sick with the cold, flu and bronchitis). This was a miracle! I was known as the sick child who always got sick with the cold and flu every year, multiple times a year. Instead of wasting my money on being sick, I invested it in my health. And the result was higher quality of health and living. When I was diagnosed with my MS, I spent a lot of money on medications for the multiple sclerosis side effects, MRI exams, physician office visits, neurologist office visits, emergency room visits (for when the symptoms became unbearable), etc. I spent in 2013 almost $6000 out of pocket (on top of my health insurance) for my Multiple Sclerosis. The problem was this $6000 did not improve my quality of life and my MS symptoms and medication side effects continued. The next year I switched my MS meds which caused even more severe side effects, and even though I got a better health insurance plan with a very low deductible (but much higher premium), I still spent over $2000 on managing my MS. And if I count the premiums, it would add up to another $6000. So once again, enough was enough. I was spending money (more like wasting money), on things that were not improving my health nor was it providing me with a high quality of life. So the following year I decided it was time for a change. I spent around $5000 in that one year on Juice Plus, yoga, massage, Organic produce, Organic foods, Chiropractic care, Essential Oils, Recreation Center membership, Personal Trainer, Exercise DVDs, etc. I spent almost the same amount of money as I did when I was sick. The difference is that when I invested the $5000 in my health for the year, I improved my MS condition, reduced my symptoms and gained back my quality of life. There is a cost to being sick. And yes there is also a financial cost to being healthy. BUT. And this is a very big, fat BUT. The costs of being sick is not just financial. And yet we allow financial excuses to keep us stuck in sickness. The costs of sickness is HUGE. It is monumental. I've seen people lose their jobs, lose their marriage, lose their happiness and dreams, lose time with their kids that they can't get back, lose good credit, lose their house, lose their business and rack up financial debt due to medical costs. And unfortunately I've seen the chronic condition get worse and more medical problems surface on top of the original medical problem. It's an ugly domino effect. And I've seen many people get to a point where because their sickness has worsened and they are no longer able to keep a job, they go on disability. And disability does not provide enough financial assistance to utilize lifestyle and wellness therapies. And it's those therapies that can make a positive impact on managing chronic conditions and autoimmune diseases successfully. There is a financial cost to being healthy. I call it an investment. Yes it costs money to take yoga classes. To get a massage. To hire a personal trainer, or a yoga therapist, or take a health webinar, or seminar or take online health classes. It takes money to buy fresh Organic foods and produce to eat healthier. It costs money to get gym memberships, exercise equipment, exercise DVDs or to sign up for online exercise programs. It takes money to hire a health coach to help you on your journey so that you are set up for success. It takes money to hire a counselor/therapist for emotional health. I takes money to purchase high quality essential oils and high quality supplements like Juice Plus. It takes money to manage one's disease SUCCESSFULLY and to not only improve but to gain QUALITY OF LIFE. And the outcome/effects of living healthy is so high, any costs should be considered an investment. With a healthy life, one has the opportunity to perform well on the job, to start a business, to go back to school, to succeed in relationships and marriage, to be able to spend quality time with their family and their kids. With health, one has the energy to live life fully. That opportunity is there. Whereas with sickness, the opportunities are taken away slowly. So there is a cost to sickness and health. Both have financial costs. But with sickness, the lifetime costs outweigh any financial costs. That's why I've finally come to a point in my life where I stopped making excuses when it comes to my health. Even with my MS, I'm still able to hike with my family, kayak on Dillon Lake in Colorado during the summer, go on fun trips with friends, work out at the recreation center for 2 hours each week, continue a full-time job and build a business on the side, practice martial arts, run twice a week for 30-45 minutes, teach and practice yoga, have high energy, and look forward to continuing my academic endeavors with getting a doctorate someday. I have opportunities. I still have choices. And that is truly the most powerful gift of health. Still having a choice on how to live my life. That in itself is worth every penny, every dime, every financial "cost" that is incurred for living healthy. Once again, that's why I prefer to call it an investment. With sickness, there is a cost. With health, there are investments. The question is, which do you choose, going forward? Juanita Street is the founder, coach, and 200-hour certified yoga teacher with Street Coaching Group (SCG Health). 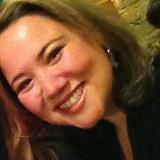 Juanita also has an MBA in Health Administration degree from University of Colorado Denver. SCG Health offers online health programs and private health coaching (online) for people with chronic conditions and autoimmune disorders.